In Steering Capital Toward Sustainability: Ethical Markets 3 looks at how environmental stewardship by NGO offers insight into a broader scope of ethics now applied by those organizations in lending practices with developing country recipients. The expansion of social responsibility to the NGO sector of finance is the topic of this film which investigates trends in the international lending sector policy regime. The development of an adequate and comprehensive set of guidelines in the interest of best financial practices in International Monetary Fund and World Bank recipient countries, offers an interesting and timely discussion about the importance of social responsibility in the transformation of national regulatory rules. 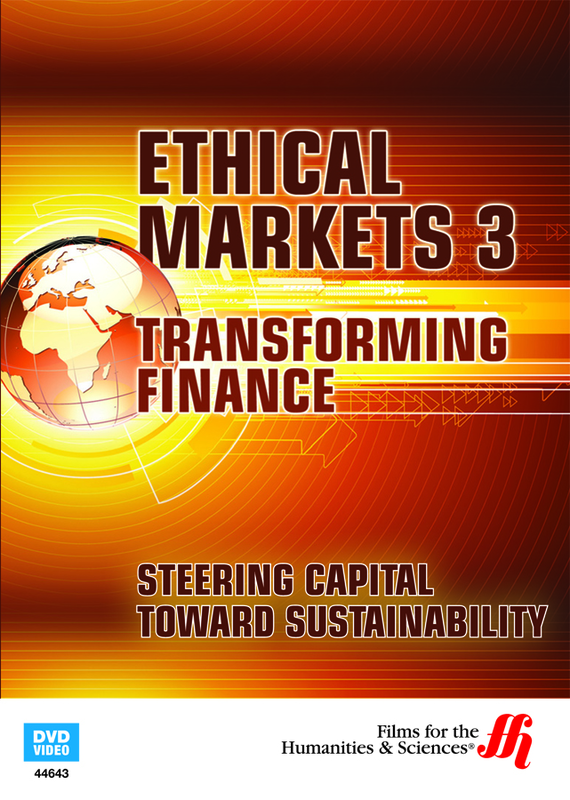 If the goal is a socially-conscious investment arena, market-based economic measures must follow sustainable objectives to creating public good through the enhancement of microeconomic program lending.Film 3 in the Ethical Markets series is hosted by economist, Hazel Henderson.